on the outskirts of a medieval town in western spain, a giant, boulder-shaped volume emerges out of the undulating terrain. 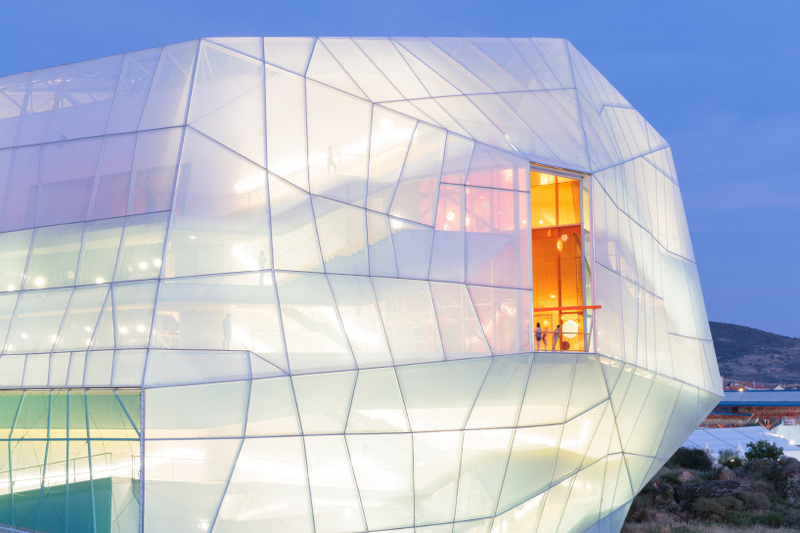 however, the object’s scale and rock-like appearance is dramatically countered by a translucent skin of ETFE panels — a gesture that not only reveals its inner workings, but also questions the permanence of the structure, despite its size. 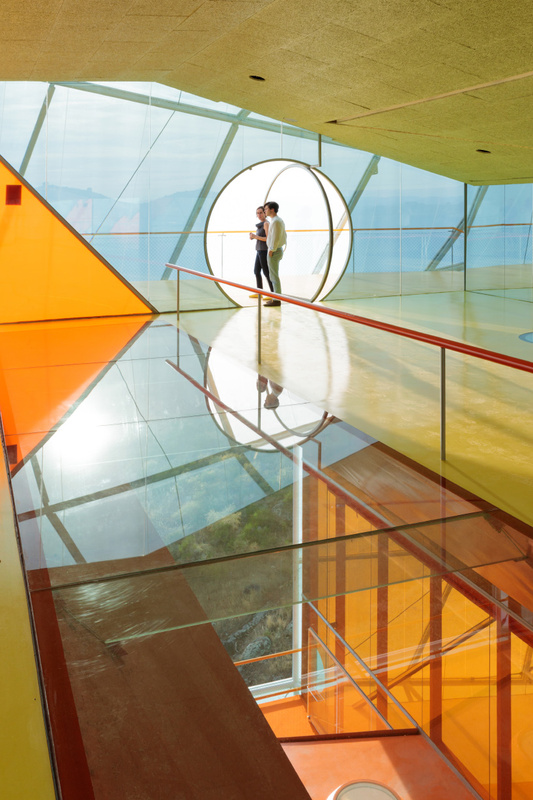 this conference center and auditorium is the work of selgascano, the spanish architecture studio that has created similarly surreal structures in london and france. 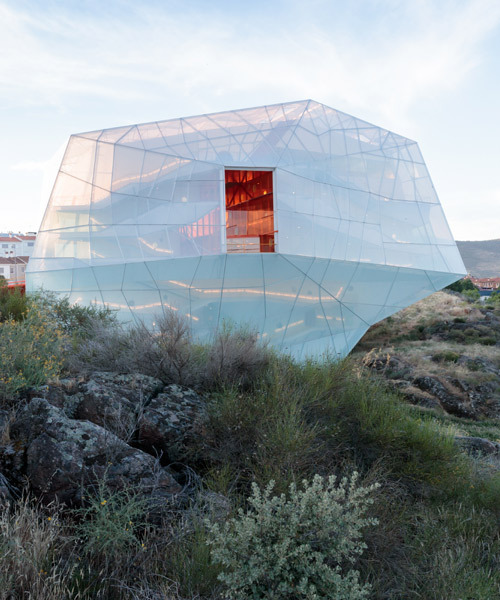 located at the boundary between the countryside and the walled market city of plasencia, the building rests lightly on the landscape, occupying a minimum of its semi-rural plot. the building is accessed from the neighboring street, elevated at a height more than 17 meters (56 feet) above the lowest part of the building. 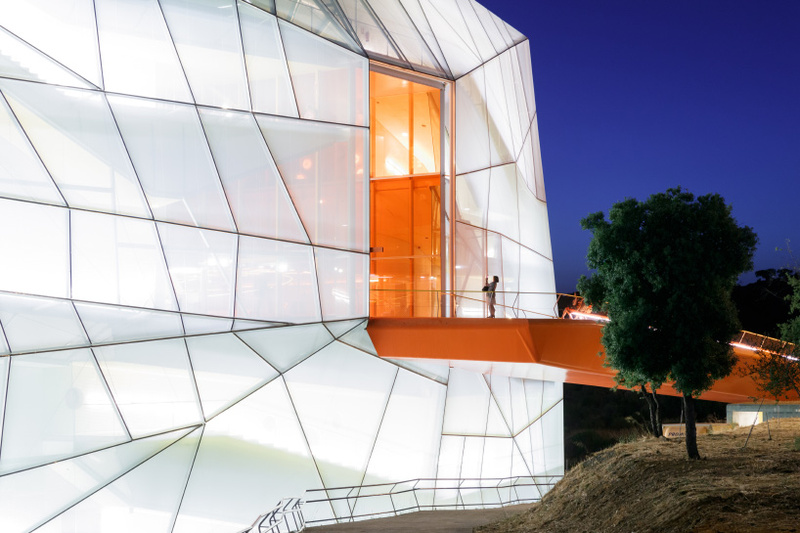 from here, an orange gangway — that presents sweeping views of the surrounding landscape — leads visitors through a grand doorway into the entrance lobby. 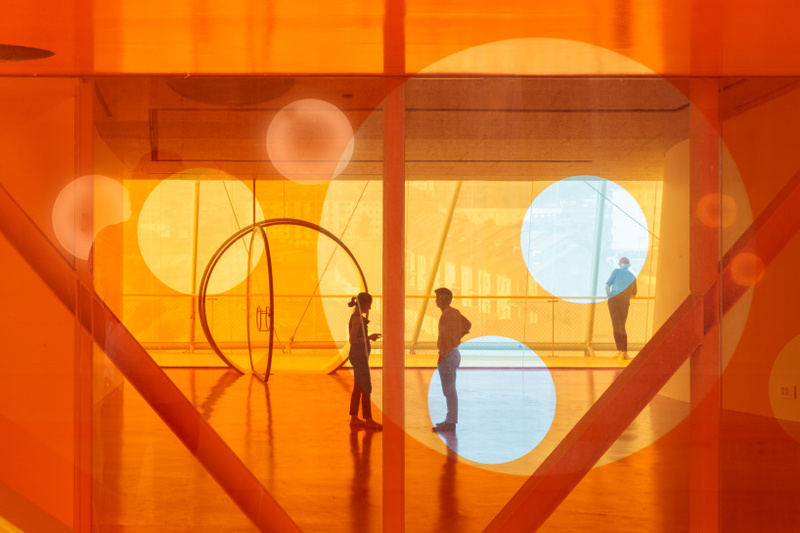 rendered in the same color as the ramp, the lobby contains a series of circulation routes that help dissolve boundaries between internal and external space, while providing access to all areas of the building. the angular form of the structure is the direct result of the internal program where the main hall inhabits the lower part of the building. 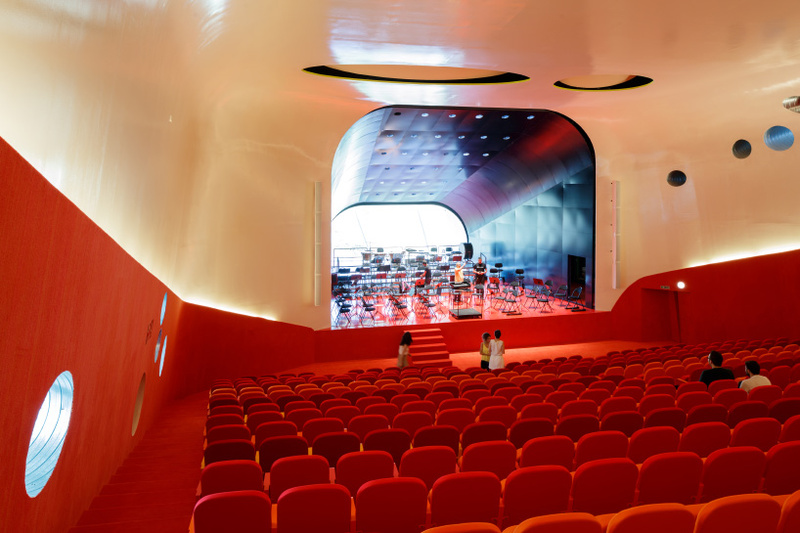 a secondary hall for 300 people can be divided into three rooms capable of accommodating 100 spectators each, while exhibition areas and a restaurant complete the program. see more images of the project on iwan baan’s website here.